UPDATE: Due to some reasons, we have to pull down all the photo, because there is no official announcement yet. 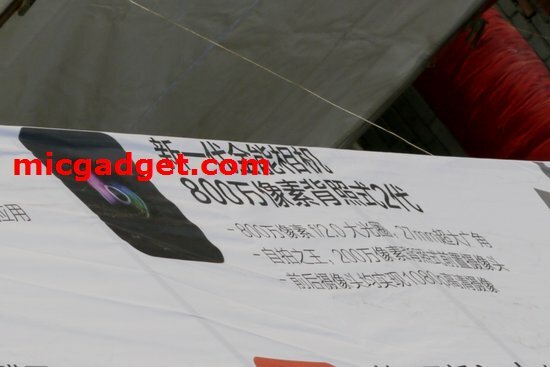 UPDATE 2: Xiaomi phone 2 has officially announced, we are now allowed to re-post all photo again. 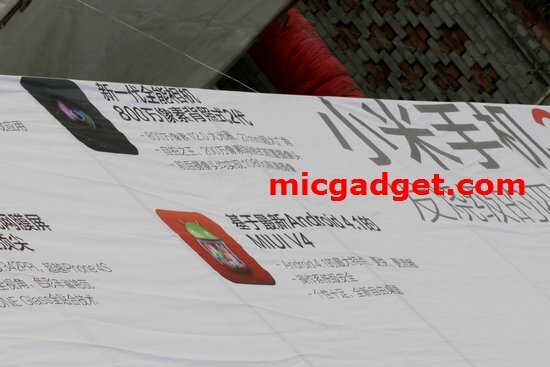 This is how Xiaomi company accidentally leaked the info on their latest handset before the press event. 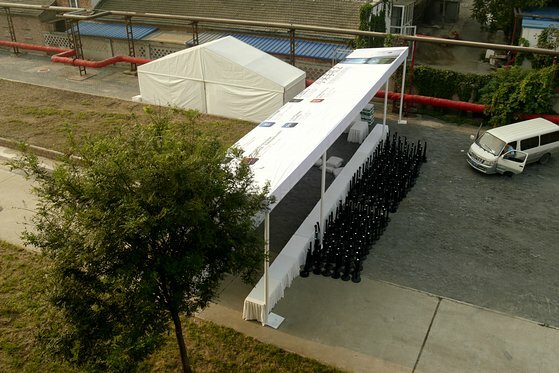 They have their promotion backdrop lying on the roof stand, without any covering, assume that nobody will see it … but well too bad, while we are climbing high for our video shooting, we spotted it. 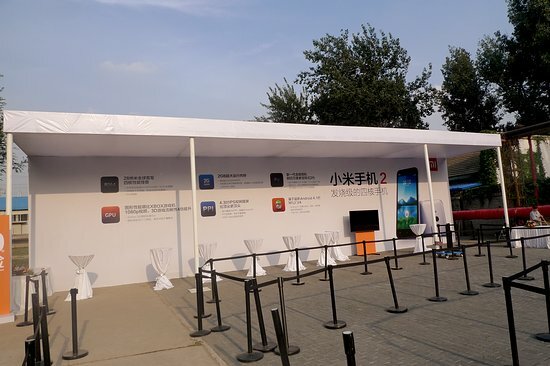 So next time, Xiaomi company should beware of some bad coordination. APQ8064 is Qualcomm’s latest quad-core chip (Krait platform) and comes with its Adreno 320 graphics processor. 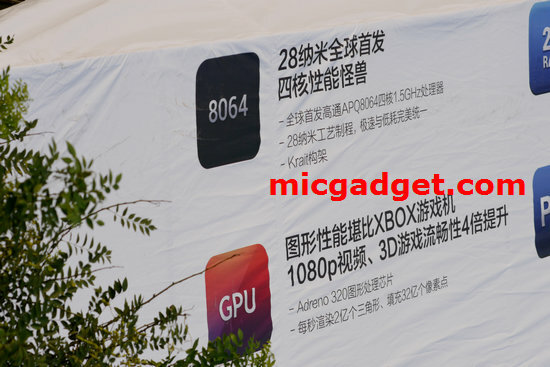 It increase graphics processing power which is comparable to Xbox 360. 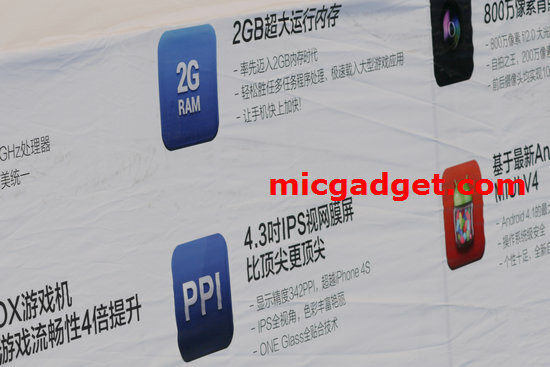 Xiaomi Phone 2 is having Retina display, pixel density higher than iPhone 4s. 8 megapixel camera, 27mm focal lenght with f/2.0 aperture. The front facing camera can take 1080p video. 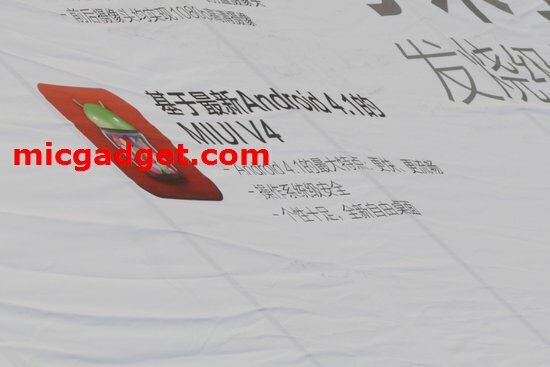 First Chinese smartphone bundle with Jelly Bean OS.